This video is unlisted and will only appear on my blog, not my Youtube channel (to clear up any confusion). Tell me what you’d like to see used in future tutorials and blog posts! Loved the entire haul. I would be interested in the drugstore [haul] as well!!!! I am beyond jealous about your Rouge Terrybly collection! I had one and caved on another, and it’s all I can do not to buy every color! 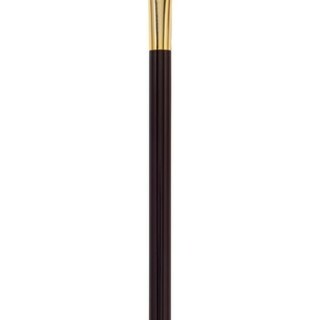 I’d love a video/blog post of you working with the Ombre Blackstar pencils. I bought the Velvet Orchid and it was so muddy, I returned it. (I adore purple eyeshadow, but I wasn’t seeing any orchid tones.) I have also heard of the Koh Gen Do water, so I’d love to hear what you think! Sorry again my city was so inhospitable weather wise! Next time you’re over (cause it’s just a hop, skip, and a jump, right? ha), I’d love to meet up! Ooh which Rouge Terrybly’s do you own? And I’ll try to use the Velvet Orchid in a look- I think it might help to layer eyeshadows over it to bring out the purple nuances. Definitely want to see the Hourglass Stylos. I keep eying them every time I go to Sephora but I’m curious how they’ll work with my more pigmented lips. And I keep looking at both of those brow pencils. 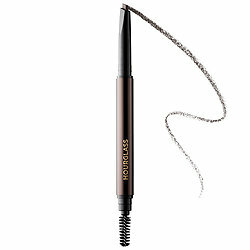 I’m about to run out of my uber trusted MUFE Aqua Brow in shade 35- the perfect ashy gray color- that I bought over a year ago in Las Vegas. I can’t seem to buy it elsewhere from known vendors so I need something new and accessible. tl;dr compare the brow pencils possibly? Love NYC for beauty shopping! Can’t wait to hear what you think about the P50, especially the difference between the original and the phenol-free. This was wonderful! Def. do the drugstore haul. I watched the whole thing! Can’t wait for your Naked 3 tutorial. 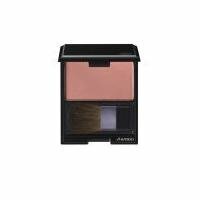 I am also interested in seeing what you think of the HG Ambient powders. I got the palette with Dim, Radiant, and Incandescent and loooove them and now I’m drooling waiting for the new blushes to come out. I´m a subscriber/reader from Brazil and I think you´re so gorgeous! I want to read/hear about the By Terry foundation. Hi Karima! I love your blog. I was wondering if you knew where I could buy Oribe in Sydney. I have been looking for ages but can’t seem to locate it. I would also love to see a drugstore haul. So many amazing products!! 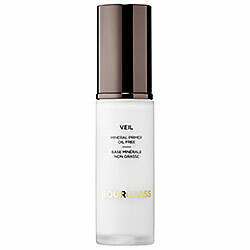 I love the Hourglass powders – I believe the negative reviews come from people who are using them incorrectly. I would love to know where you purchased the P50? Can not wait to see your reviews of the products. You were in Korea! Was it just the airport or did you get to stay for a bit? I am a big fan of long videos and would love to see your drug store haulage! Great video. Would love to see by terry in future videos, esp the cream eyeshadows. Do you think the staying power is strong enough for hooded eyes? AHHHHHH finally! Have been waiting for this post+video! Really can’t wait to see the NAKED3 tutorial! By Terry Rouge Terrybly lipsticks…..ah I NEED to try it some-time. Yea….MAC is solo much cheaper in USA/Canada compare to AUS!!! Planning to visit Tom Ford, Koh Gen Do, Suqqu/Three/Addiction (if in Japan)…and get my friend in Canada (who will also be in HK that time to grab a few things from MAC Canada for me)…..starting a list already…. Loved the video. Would like to know more about the By Terry foundation. Lovely. Great purchases. But why the burp at the beginning? Not cute. Edit that out. 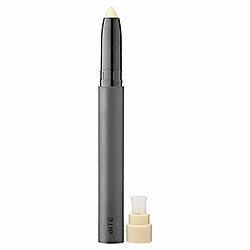 I would love to see your review of the Bite Beauty lip primer. My lips are never in proper condition either, and it severely limits my lipstick options! Brilliant haul! Please review the BT – particularly denisliss – personally it clung to my flakies and for £80 GBP I want more! I also have Carnal Attraction (I’m addicted to purple/plums) and also 201 Terrific Rouge. I’ve been doing a “search for the perfect red” and this one is so up there. I actually did layer a shadow over it to bring the purple out, and it was still really dark, surprisingly considering the gorgeous color in the tube! And I have Cover-Expert foundation and love it, so I’ll be curious to see how you like the other one. And glad to hear you’ll be back! That would be so lovely! Hopefully you won’t come next time when we resemble the Arctic Circle! Hmm the reply should be intuitive, I’ll look into changing that! Carnal Attraction is gorgeous; strangely it swatches streaky but looks great on the lips. I gave Terrific Rouge a miss because I’m wary of collecting identical red lipsticks but you have me second guessing myself! Cover Expert is rather dewy, no? Densiliss is definitely on the matte side. Which P50 did you order? 1970? reformulated version? Terrific Rouge may look like other reds, but it’s so gorgeous and wears so well, I don’t even care. I’m wearing it here http://instagram.com/p/jJ-yhEn14d/ but it’s on my calendar to get better photos next week. I got the regular P50 with Phenol. I can’t wait till it comes and I can stink up the place! My dear Karima: this is what I call a HUGE haul!!! If you finished with a pic of everything it would have been orgasmic!!! Lol I really need to see tutorials on By Terry stuff, since it’s something not available where I live, and I always tend to buy stuff I can’t buy home when I travel abroad. 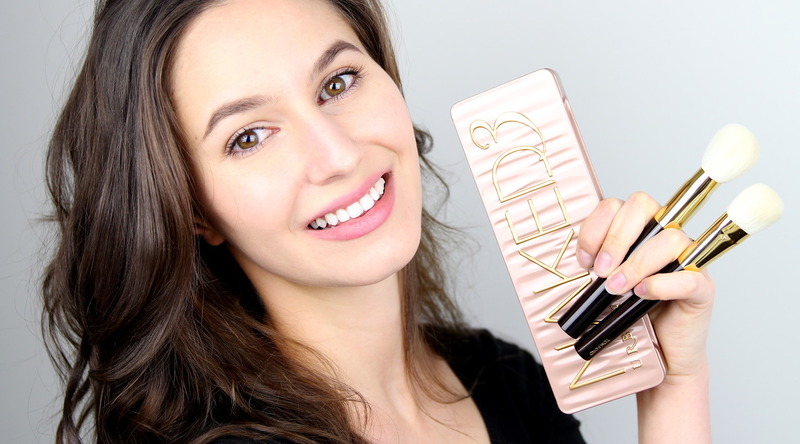 I also want to hear your opinion and FOTDs with Naked 3, since I’m really loving it myself. Wow you did well! Massive haul! First of all – your videos are so funny! I am sooo jealous of your By Terry lip collection. I have one tube which I pet and send love letters to. Also, P50 is the best thing I have ever ever ever ever done for my skin ever. My skin now looks better than it did when I was in my 20’s. No lie. (I’m 43) I switched to P50W for the winter and that was an excellent decision. Much gentler in the dry winter months and still lovely skin. YAY! Thanks for a fun video! Which By Terry Lipstick do you own? They’re amazinggg. The more I use P50, the more I like it- it really clarifies my skin and I swear I look a bit brighter! If I feel it’s too strong for my skin in winter, I’ll check out the P50W, thanks for that tip! I have Rouge Terrybly Love Me Tender. Must. Buy. More. Specifically nudes and pinks. I loved the swatches in your vid. very helpful. I am SUPER excited because in February, Terry de Gunzburg herself is doing my makeup!!! Holy cow it is the highlight of my life 🙂 I plan to buy lots more of her lippies during my visit with her. More about P50 – I have been using P50 and P50W for a year now and I simply cannot recommend it enough. 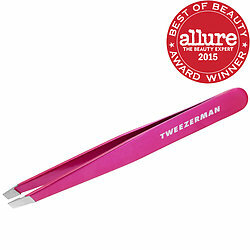 It is truly my very favorite beauty product of ANYTHING I own. I have found that it is MARKEDLY improving the firmness and elasticity of my skin and diminishing fine lines. Or, more likely, it is exfoliating my skin so that my moisturizers can do their job properly. This is probably not a selling point for your own young skin Karima, but for your readership “of a certain age” 🙂 it makes a very noticeable difference in the youthfulness of skin. I almost don’t even want to wear makeup anymore because my skin looks soooo good. I also just noticed there are two “SJ”‘s commenting here! 🙂 SJ’s of the world ban together for beauty! I’m building a showcase of looks for my By Terry Rouge Terrybly’s, it is going to be a LOADED post! You’re meeting Terry?! That is incredible, you must report back on that! Two SJ’s?! What are the chances lol. Thanks for stopping by, I love hearing from you guys! I just love Tailor Grey.It is my favourite paint pot. This and the mustard eyeshaow you showed on the crease line and is a great look. Great stash you got now Karima! Take care! i LOVE the KGD spa water -i’ve been using that for years! i also really like first aid beauty’s ultra repair cream, and i got that caviar stick set too! 🙂 and i like brow wiz too! anyway you were funny and i actually watched the whole thing. poor adrian must’ve gotten tired of all the shopping lolol!! anyway, it seems like you had fun so that is a big YAY! The KGD spa water seems to perform much like Bioderma, I can’t really decipher a difference yet. It seems you and I have similar tastes! It’s my first time here and I have to say you’re really pretty. 🙂 Anyway, would definitely love to pick up every item you have right there. Maybe I can do something about this really weird skin I have. Hi Karima! I loved your video, watched it twice! I was laughing out loud “no, I haven’t bought enough”. Anyway, I wondered what lipstick you were wearing in the video? Thanks!! I wish to ask your advice regarding Tom Ford brushes vs Hakuhodo brushes. Which are of highest quality? I know that TF are supposed to be manufactured by Hakuhodo but still which would you consider to be the best investment? I didn’t want this haul to end… I want moaaaaarrr !!! Hey there! I am Syndney and Adelaide bound in a couple of months (from California) and I was hoping you could recommend some beauty stores or brands I should check out for some serious haulage. Thanks for taking the time to share your beauty frivols with us! My advice would be: do not do serious makeup haulage in Australia! We have a very similar range to the rest of the world except double the price. 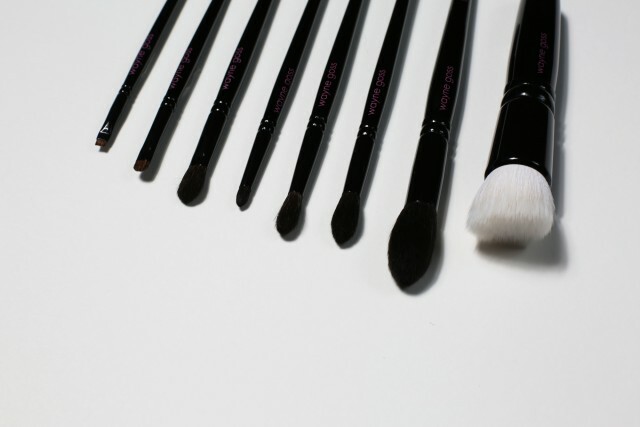 A few brands that are exclusive to Australia (but not affordable by US standards): Bloom Cosmetics, Australis Cosmetics, we have free standing Inglot stores (big markup) and free standing The Makeup Store’s. Excellent video, as usual!! I’m looking forward to your Naked3 tutorial – as a fair-skined, medium blonde I think most of those tones may suit me (I didn’t buy the palette yet though). I’m also looking forward to some looks with the MAC eyeshadows you got. Thanks ofr posting all this info! I love your blog. Greetings from Spain. So glad to see you back! I actually got quite a few things you got in NY as well recently such as Urban Decay’s naked palette and some hourglass products. I’d love to see the drugstore haul! I tried the CHANEL le blanc primer, it like a layer of pearl-like luminosity that glows subtly that brightens up the skin! 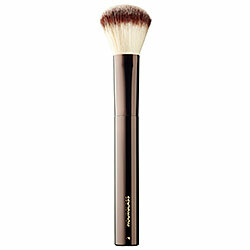 I have been using this as a base and then brush on the healthy glow N10 on it directly , or use it like a primer. Will try the mix-in method. Any particular foundation you’ve tried with nice results? 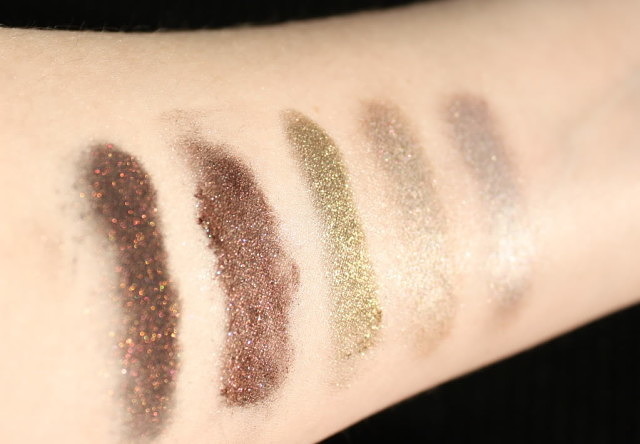 Please, please, please do a tutorial with the Ombre Blackstars – I love eyeshadow sticks and would really like to see how you use them, plus I’ve been toying with the idea of buying Brown Perfection for a couple of months now and it might help me make a decision. Watched the entire haul video and loved every minute. No, we can NEVER have enough makeup! 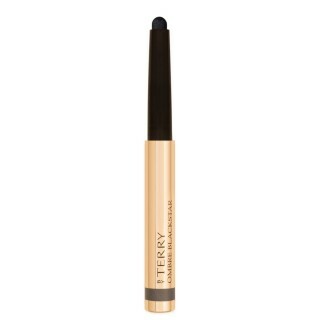 I am dying to try the By Terry Ombré Blackstar shadow stick in Bronze Moon – thanks for your review. I know you said you’d wait until you’ve used it, but PLEASE PLEASE PLEASE do a review/COMPARISON of the TWO TYPES OF p50!!! And please list the ingredients! Just so you know, there are 3 P50s: P50, P50V, P50W (from strongest to weakest). I have the phenol-free P50V version. I had the 1970 version, but I just couldn’t stand the smell!! But it was amazing. I haven’t tried the phenol-free version yet. I’m excited to see what you think! Please do an updated skincare routine! I am quite new to your blog, and you are already a favorite! I love the haul! I want absolutely everything you bought 😀 Especially the byTerry foundation. Thanks for sharing! I hope I get a chance to see NY and shop there. I would love to see a drugstore haul! Is beauty your career? Because this is my kind of haul and I am so curious as to what you do bc I need to switch careers, haha! I would love to see more info or a tutorial using the Chanel illuminating base. 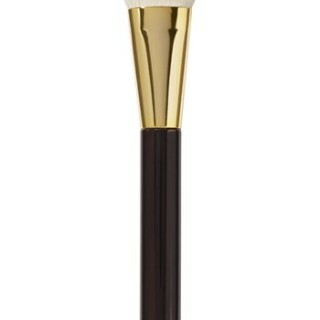 I am also curious as to what you think about the Hourglass Ambient Lighting powders and the Tom Ford face brushes. I for one would be quite interested in the drugstore one, too -should you find the time to do it. So glad you enjoy the videos 😀 Thanks for taking the time to comment!